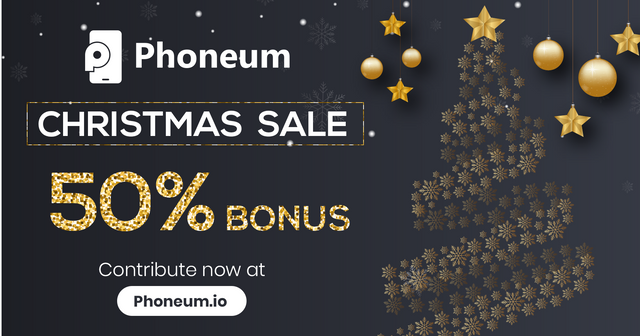 Get a Phoneum Bonus this Holiday Season! Hello Everyone, we are pleased to announce that from now until the end of the year (December 31, 2018 6:59 ET +5 UT), we will be running a Christmas Sale! 2018 has been a transitional time for crypto, so we very much appreciate your continued support. We are very excited to launch Phoneum GO before the end of the year and expect 2019 to be an amazing year as we push hard to make the most popular game in the crypto space come to life.